Peak Pressure Washing is here for all your residential low pressure power washing needs in Raleigh NC. The exterior of your home is the first thing people see, so keeping the exterior clean and free of dirt, mold, mildew, and other types of grime is the best way to make a good first impression. Our low pressure exterior wash services begin with an application of soap that is tough enough to remove whatever may be on the exterior of your home, but eco-friendly and gentle enough not to harm wood, stucco, or other features. We follow that with a low-volume pressure rinse guaranteed to clean your home without damage. For all of your residential low pressure power washing needs in Raleigh NC, trust Peak Pressure Washing. The roof of your home is exposed to dirt and debris which may stain it. Pollen, dead leaves, algae, and other substances can leave your roof looking shoddy. 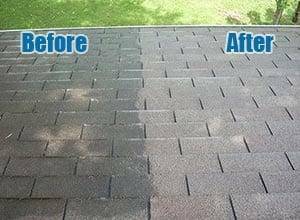 Trust Peak Pressure Washing for residential low pressure roof washing, roof cleaning, & roof stain removal in Raleigh, NC. Our low pressure power washing services guarantee to remove the muck without damaging tiles, shingles, or the roof. Concrete areas of your home can suffer from oil, grease, rust, & other staining. Peak Pressure Washing has the tools and skill needed to return your residential concrete areas to their original beauty. 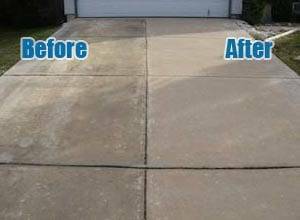 Our concrete pressure washing & power washing services in Raleigh NC will have your driveway, patio, & concrete masonry looking fine in no time. Do you have a home deck or patio needing cleaning? 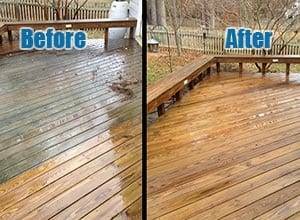 Peak Pressure Washing provides soft wash deck washing & low pressure deck cleaning Raleigh NC that will clean these areas without damage. Remove pollen, mold, algae, & stains from your deck or patio without worry. 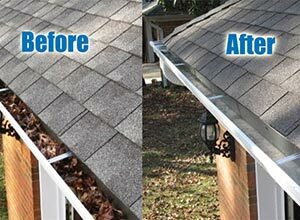 The gutters of your home in Raleigh can become clogged from dirt, leaves, and debris. The outside of gutters on your home can become discolored in much the same way as your roof. 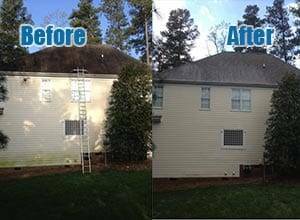 Peak Pressure Washing in Raleigh, NC has your pressure wash gutter cleaning & low pressure gutter face wash cleaning solutions. Peak Pressure Washing is your source for superior pressure washing in Raleigh NC. We understand that the look of your commercial property affects business and aim to help drive your business by keeping the outside clean & inviting with commercial power washing & pressure washing services. Our commercial pressure washing & commercial power washing services include commercial low pressure power washing for your business’s exterior, commercial low pressure roof washing & commercial low pressure awning washing, commercial concrete pressure washing, and commercial pressure wash gutter cleaning & gutter face washing.. 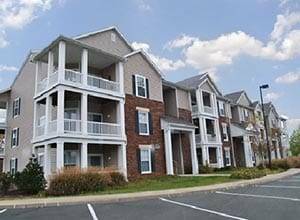 Whether you need our services for an HOA or apartment complex, gas station, office park, or any other commercial property in Raleigh, NC, Peak Pressure Washing is the superior pressure washing service with solutions to meet your business needs. Peak Pressure Washing is your source for commercial & residential low pressure power washing services. We proudly offer our pressure washing & power washing services in Raleigh, Cary, Apex, Holly Springs, Fuquay Varina, Clayton, Durham, Garner, Morrisville, Knightdale, & beyond.